Deciding between “Too High” and “Too Low”? You might be wondering how tall your standing desk would need to be, especially if you’ve noticed that some standing desks top out at 44″ (too low for many people over 6 feet tall). 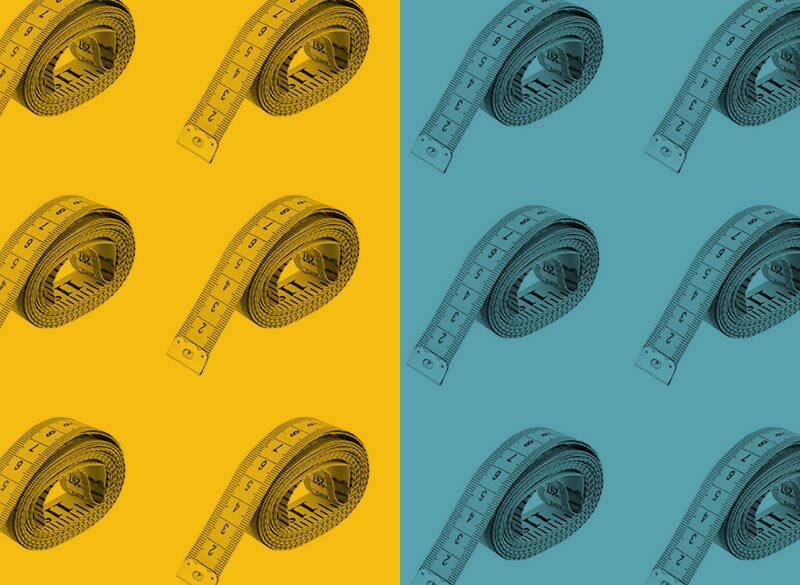 Here’s how to measure yourself to find the right standing desk height for you. Make sure your shoulders are relaxed, your back straight, and your arms bent at a right angle (some say 90 degrees, others say 100 degrees – whatever feels best to you). This step is slightly easier if you have a helper, but all you really need is a measuring tape. 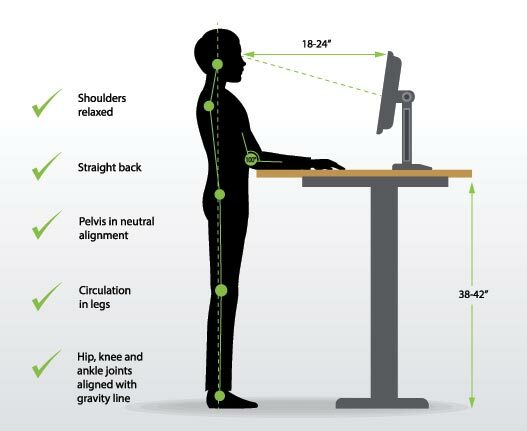 Measure from your elbow to the floor – this is your standing desk height. Next, whatever your height is – that’s your monitor height. Finally, measure from your hip bones to the floor – this is your standing chair height. Try to avoid any desk or chair that needs to be at the extreme end of its height range to accommodate you. Chances are, once you put it all together you’ll need to raise or lower things slightly. Some standing desks and accessories might not be able to get the exact height you need. If this is yours, go with “too low” – in my experience, a lot of people adjust “down” from their starting height. See our Standing Desk Buyer’s Guide. Previous: Previous post: Don’t just sit there, stand up!